Matera has been designated European Capital of Culture for 2019. You have likely seen it without recognising it. Matera, which has been designated European Capital of Culture for 2019, is thought to be the world’s third oldest city. A Unesco World Heritage site since 1993, because of its perceived resemblance to Ancient Jerusalem, the city’s Sassi quarter has been used as a filming location for numerous movies. 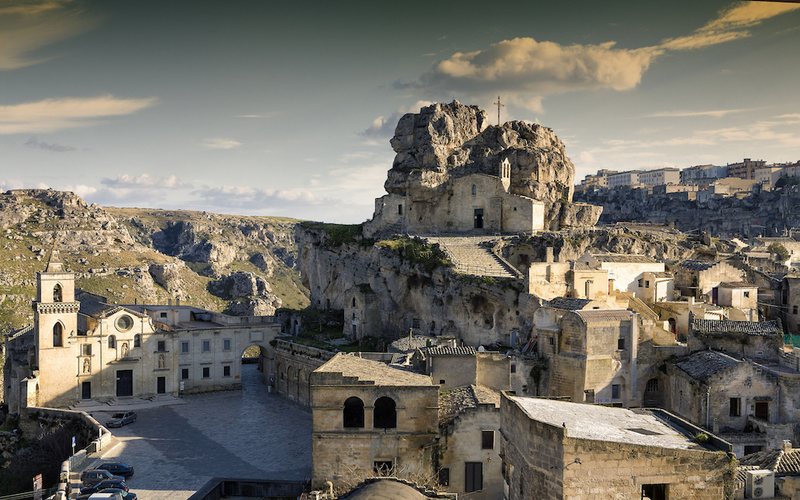 Now 2019 is set to be the year when Matera will emerge as a leading tourist destination in its own right. The easiest way is to catch a plane to the airport in Bari, which is the capital of Apulia. Matera is some 60 kilometres from the airport, and the Pugliairbus will take you there in around two hours. Durum wheat (le grano duro) is one of the star ingredients in Matera. It is used to make pasta and also the bread, which is a key ingredient in dishes like the “cialledda calda,” a sort of soup made from eggs and olives flavoured with garlic and bay leaf. Red chilli peppers are another notable product of Matera, and they are widely used in a range of recipes. Located just 30 kilometres away from the Ionian coast, the city is a good place to order fish. Matera is also a well-established destination for wine lovers, who appreciate the province’s dishes and cheeses with the local wines which were granted their own DOC classification in 2005.